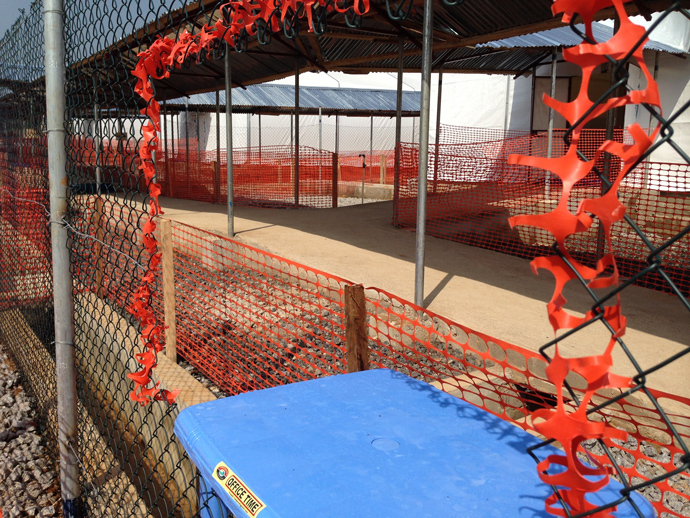 It’s been just a week since a new Ebola treatment unit (ETU) opened on December 1 in the town of Lunsar in Sierra Leone’s Port Loko district—an area with one of the highest rates of Ebola in the country. On its first day of operation, four patients were admitted to the facility being run by International Medical Corps (IMC) with USAID support. 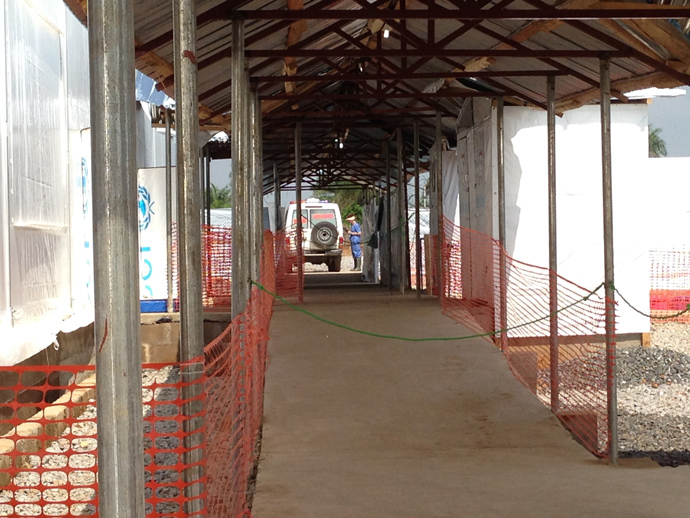 USAID provided more than $5 million for the staffing and management of the 50-bed ETU. 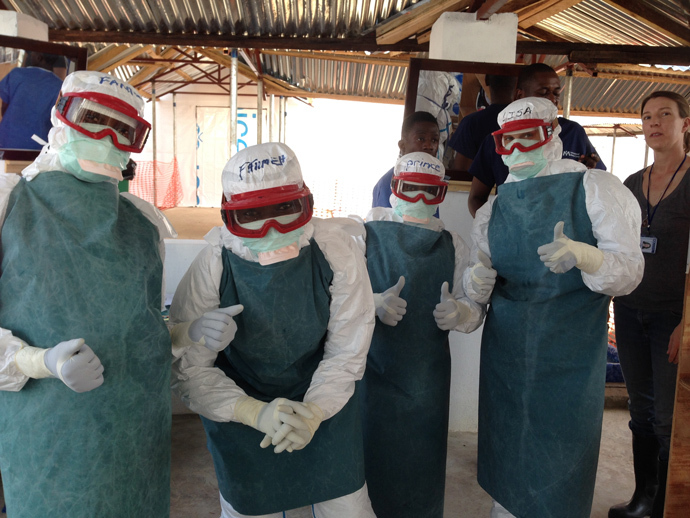 According to the ETU’s medical director, some of the facility’s 150 staff members were nervous to start caring for Ebola patients in spite of all the training they received. But by day three, things started coming together. This reliance and teamwork is evident even before the first patient is seen. 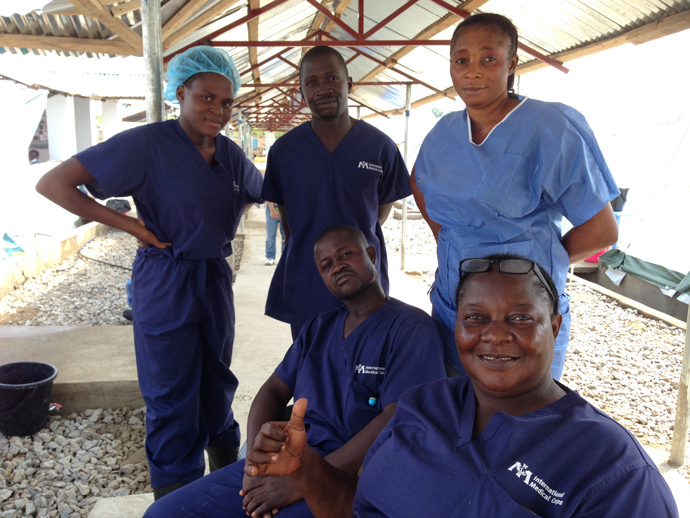 On one end of the medical complex, there’s a small group of people around emergency room nurse Lisa Woods, helping her get into the protective suit, gloves, apron, boots, and goggles that will keep her safe while treating Ebola patients. 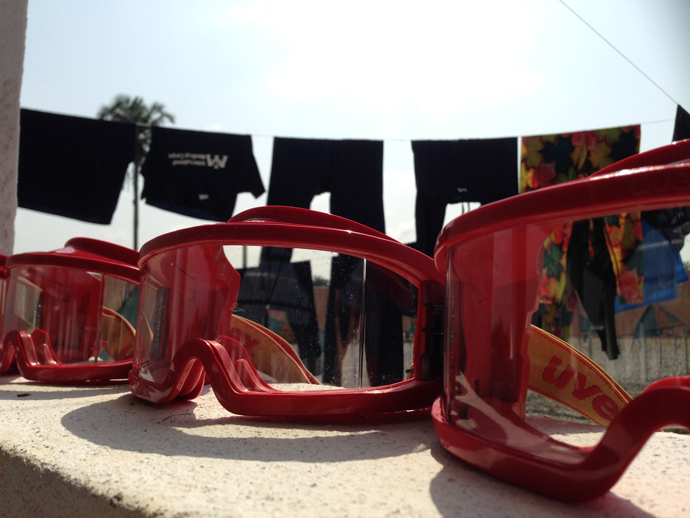 On the other end of the treatment complex, groups of men and women are washing hundreds of articles of clothing, boots, goggles, and gloves by hand. Right next to them, several people are hooking up a washing machine that was recently delivered—just in time to speed up the laundering process before more patients arrive and the ETU gets busier. Just then, the medical director announces that another ambulance is on its way with a confirmed Ebola patient. 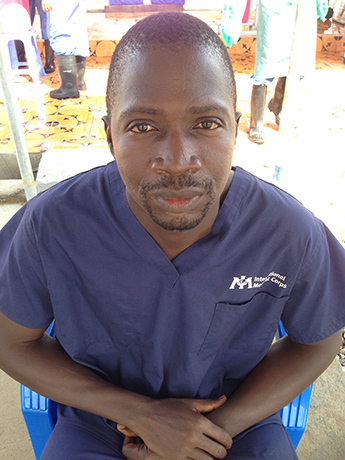 Idrissa and the other nurses walk out of the staff rest area, to suit up and take care of another one of their own. 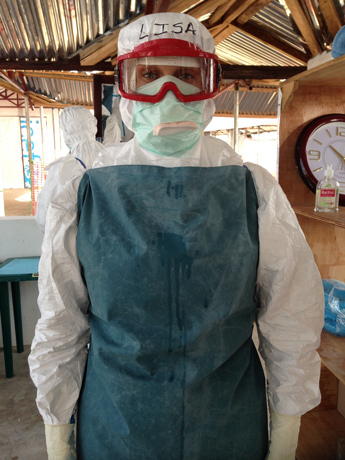 The Ebola Disaster Assistance Response Team (DART) is overseeing the U.S. Ebola response efforts in West Africa. 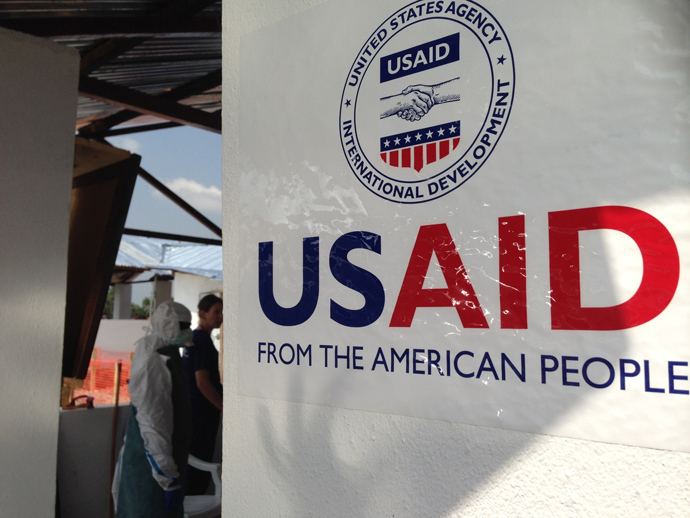 The DART includes staff from across the U.S. Government, including USAID’s Office of U.S. Foreign Disaster Assistance (OFDA), the U.S. Centers for Disease Control and Prevention (CDC), and the Departments of Defense and Health and Human Services.